Flores’s magical underwater world is part of the Coral Triangle – a marine area located in the Pacific Ocean. It includes the waters of Indonesia, Malaysia, the Philippines, Papua New Guinea, Timor-Leste and Solomon Islands. The marine area nurtures six of the seven marine turtle species and more than 2000 different species of reef fish. The Coral Triangle is also called the Amazon of the seas and is seen as the global centre of marine biodiversity. The area covers 5.7 million square kilometres of ocean waters. 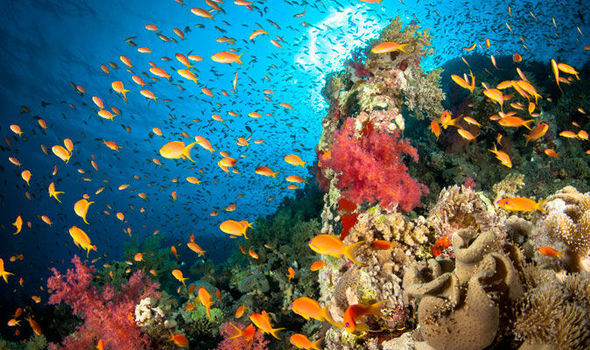 You can find 76% coral species of all known coral species in the world. The Coral Triangle is well-known for its highest diversity of coral reef fishes. It also nurtures 37% coral reef fish species of all known coral reef fish species. In 2007 the WWF started the initiative Coral Triangle Program, which addressed the threats that the Coral Triangle is facing. One of these threats is destructive fishing methods such as dynamite fishing. Each blast destroys over 200 square feet of coral reefs at a time. This practice not only devastates the reef but also kills the animals that live in them. Another method is cyanide poisoning. This will stun the fish without killing them. This way they are easier to catch. Local communities whose livelihood depends on fishing are negatively impacted due to cyanide. The Coral Triangle Program helps local communities by educating them on how to preserve and live off the environment.